The RED Epic-M and Scarlet cameras share the DSMC body and feature the same 5K MYSTERIUM-X sensor with the Epic leading the way at 5K at 120fps and the Scarlet, also able to shoot 4K at 30fps are able to shoot 5K at only 12fps. The newer Epic Dragon features a DRAGON sensor capable of 6K at up to 75fps. The Nauticam Epic LT series of housings gives unfettered access to all the controls needed to take full advantage of these dynamic cinema cameras underwater in an extremely easy to use and portable package. The Epic LT weights in at under 7kg and its small form factor means it can literally fit in a backpack that can fit under the seat in front of you. The entire Epic LT system can be assembled in a matter of minutes! A top mounted Arri Dovetail Plate use used to mount the camera in the housing, and an intermediate "block" interfaces between the SWITCHBLADE Module and the housing. Controls need not be pre-set when installing the camera, and the camera can even be installed with Red's quick release plate mounted on the bottom. The Epic LT housing was designed to integrate seamlessly with the REDVOLT XL Module and REDVOLT XL Battery pack from RED. When using this system battery changes are possible without removing the camera from the housing. Other popular battery configurations supported are Anton Bauer Dionic HC with Gold Mount Plate, and select V-Mount Batteries with a V-Mount Adaptor Plate. 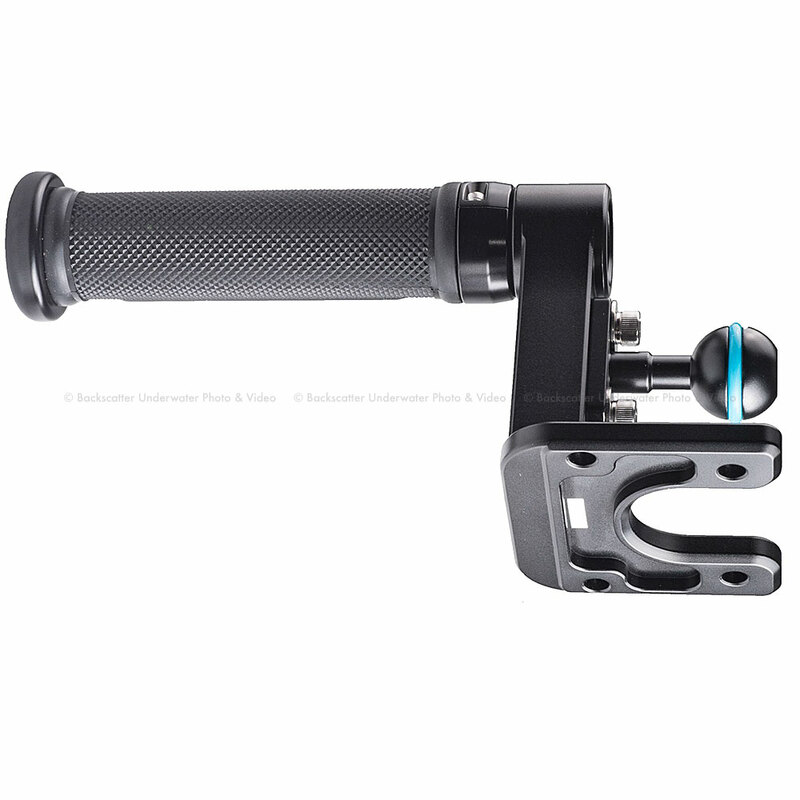 The PAGLink PL96 has proven to be popular with the Nauticam user base and is fully compatible. The Nauticam vacuum check and leak detection system is shipped with Epic LT as standard equipment. Combined with an accessory vacuum valve, this monitoring system provides constant updates on the watertight and safe-to-dive status of the housing. A simple color coded LED lighting system lets the user know that the vacuum is solid, or that the housing is losing vacuum. Leak detection is built into the same circuit, so if there is water intrusion, an audible and visual indication will occur. Handles with 1 Base Balls. Vacuum Valve and Vacuum Monitoring Circuitry. RED LCD/EVF CABLE (RIGHT-TO-RIGHT) 18 inch or Longer. RED Mini-Mag Side SSD Module or DSMC 1.8 Side SSD Module. REDVOLT XL Module & 1x REDVOLT XL Battery. Anton Bauer Dionic HC & Gold Mount Plate. Small V-Mount Battery (like PAGLink PL96) & V-Mount Plate. 16106 Nauticam Epic LT with RedTouch 5 Back. 16227 Nauticam Epic LT with SmallHD 502 Back. 5mm Ball Mounts (for tripod leg attachment). External Monitor Housings for SmallHD 502, SmallHD DP4, Atomos Shogun, Atomos Ninja, and TVLogic VFM-058. SDI Surface Feeds for Director Monitoring.